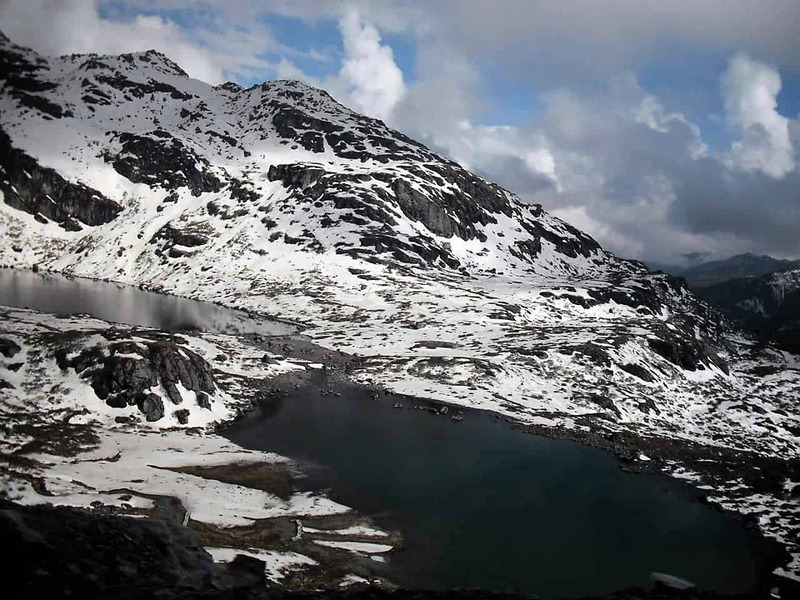 Are you considering a trip to Nathu La and Gangtok as your next trip? How about taking a deep dive into these places and learn how to make the best use of your time when making a trip to these amazing in the Himalayas which mother nature must be proud of too. 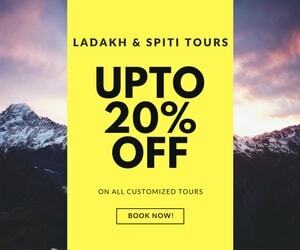 I feel, in my two earlier articles, on Dzongu and North Sikkim Guide, I have already emphasized aptly about the state of Sikkim and its stellar resume which makes this Himalayan region easily the most sought after travel destination in the entire North-Eastern stretch of the mountains in India. Well, there is still a lot left unsaid yet it seems. 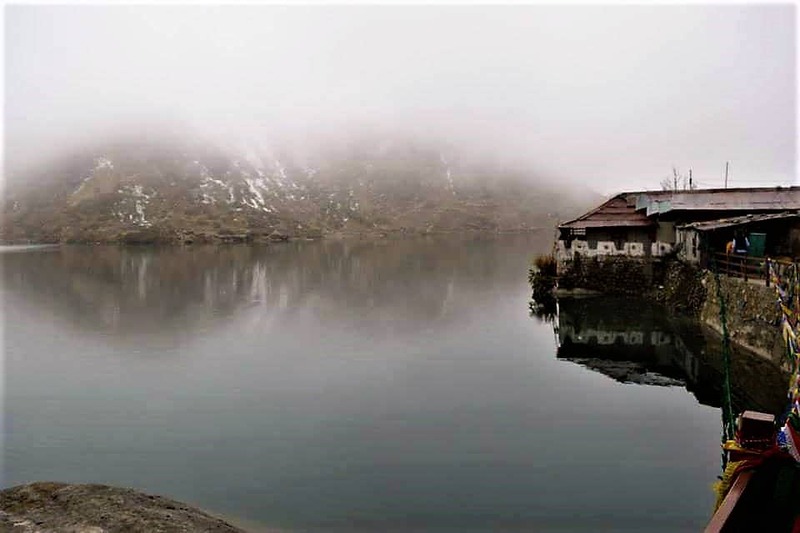 In this article, which is my third on Sikkim with a couple more to follow, will be primarily based on the capital city of the state, Gangtok and Nathu La pass. Where to Sleep and Eat in Gangtok? Gangtok is not a place which needs new information about that already what exists in abundance. It is far too well known about and hence I’ll skip the unnecessary details. Rather, I will focus on those aspects of this beautiful place which would make the experience of someone coming here more enriched and whole. In the closing years of the 19th century, the erstwhile monarch of Sikkim shifted his capital from Tumlong to a small hamlet, which was already by then becoming a pilgrimage center for several Buddhists coming from near and far to visit the ‘Enchey Monastery‘. A patch of some square kilometers wrapped like a wave and spread like flowery carpet on and around a ridge at 5500 feet and with a direct stare at the third highest peak, the Kanchenjungha, that’s what Gangtok is and literally transliterates to, i.e., ‘On top of a ridge’. The city though unavoidably invaded by too much concrete is yet arguably the cleanest city one would find in the Himalayas with a comparable population. The city’s economy is booming, attributed much to tourism, almost around the year these days. The tourism policy of the Sikkim Government is surprisingly impressive and stands on two essential pillars, development of the local populace and eco-friendliness. 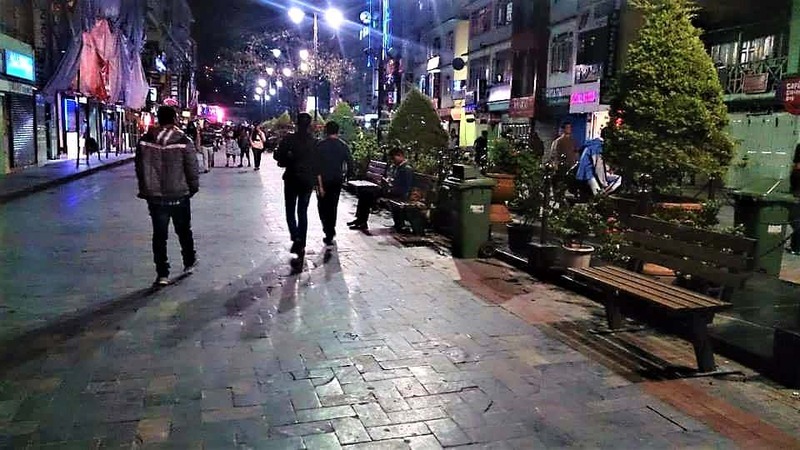 What is even more surprising, is the fact that once someone is here and takes a proper and honest look around, he/ she would have to possibly agree that the policies seem to be working for a change in Gangtok. Entering the city of one and a half lakh people, crossing a small bridge at Ranipul, where two rivulets that flank Gangtok’s east and west meet to form the Ranikhola (eventually merging into the Teesta at Singtham), the first noticeable thing is a continuous footpath rising alongside the main road. The stone-floored pedestrian path, tastefully barricaded in green grills, runs all along the city. The winding and steeply rising road pass from in front of chic hotels, restaurants, bookstores, cafes, bars etc., before eventually reaching the beacon of the city’s landmarks, the deservingly famous M.G. Marg. Just uphill from where in a considerably secluded and geographically on the ridge are two buildings, metaphorically anointed to be there. One is the Raj Bhawan and at the other end is the Palace of the erstwhile monarchs. The Tibet Road north of here is named so because it actually led to Tibet in another phase of history, as Gangtok was a part of the very ancient silk route between the Indian subcontinent and Tibet. Most of the Hotels, Taxi stands etc., are located around here. Diesel commercial cars like Sumo and Bolero are banned from commuting inside the city and are only allowed to ply from proper multi-storeyed taxi stands. The taxi stands are designed impeccably with entry and exits for different routes at different levels with elevators for the public. There are different taxi stands for different sectors of transport. For intra-city transport and sightseeing, only petrol and CNG small hatchback taxis are allowed. Such taxis are easily available at the designated parking squares spread across the city. There is a prevalent adherence to civic norms and rules in the city at large which is very refreshing to witness, very different from many famous hill stations of India. Plastic bags, public smoking, and chewing tobacco are completely banned in the city. The cleanliness is bound to strike the eye. As will the smiling Kanchenjunga on the clear wintry mornings. I personally believe the view of the Kanchenjunga in general from Gangtok and specifically from Hanuman Tok is the best among the places I have witnessed it from. Yes, Pelling gives you probably a closer look but the sheer propensity of how it appears from Gangtok is unparalleled. It’s a stretch of about 2 KMs of an open-air shopping and dining boulevard. Lined on both sides with glittering garment stores, artifact shops, ATMs, Street Food stores, Restaurants, Pubs & Bars, Travel Agencies, Liquor shops and Hotels, this pedestrian-only arcade with diagonally plastered brick-stone pathway divided in between with wooden park benches, fountains and small planted pine and fir trees, illuminated by rustic black street poles with yellow lights. A stroll up and down the M.G.Marg in the evening is an absolute ‘must-do’ for anyone coming here. This is where the city comes down after probably a hectic day at office or any such place, to unwind, to celebrate life as it is. Young couples walk holding hands, the children run around chasing soap bubbles, people read books sitting on the benches sipping coffee. Befittingly perhaps, the statue of unity looks down from one end of the place. The unity of the Lepchas and the Bhutias, their peaceful co-existence in these parts resulting in the prosperity of the larger society has been commemorated by the statue. The entire stretch is litter and tobacco free and just near the mid-point of its length, there is a dedicated smoking zone and clean public toilets. The theme of the place is green. Buildings on both the sides of the road are painted in green as a part of the go-green initiative of the government. M.G Marg is also a paradise for the foodies. A full-fledged ‘foodwalk’ can be planned on one of the evenings of your stay in the city. Start your evening with veg rolls from ‘Roll House’. The taste is awesome and the pocket pinch is minimum. Walk on for half an hour leisurely, stop to buy things if you wish, until you reach ‘Taste of Tibet’ on the upper floor of a shabby looking two-storey house. This place is always bustling with locals. The Momos, Thukpas, and Chilli Pork are to die for. Walk on around the bend where to your left a series of artifact stores. Even if you are not interested in buying anything do drop in one of these stores to feel flavors of the history and culture of Sikkim. Sit on the benches for some time and just watch other people go by. Most of them will be loud Bengalis though but towards the late evening the scene changes. As the shops start to pull down their shutters and people begin to leave, the evening is still young on M.G.Marg. Local youths come and sit on the benches chatting away. Music for one of the many pubs would fill the air. At around 9, sneak in to a pub called ‘DJ’s Downtown’. The liquor prices in Sikkim is quite low. The food, the music and the dark ambiance of the place on the second floor of a building directly overlooking the M.G.Marg below is mesmerizing. This is another of the places where locals come in plenty. It is advisable to put up at a hotel walk-able from M.G.Marg. There are plenty of them of every budget. I personally always prefer the Tibet Rd. for my stay in Gangtok. Standard 4, 5 or 8-point sightseeing packages for a full day in a small car are available everywhere in Gangtok. You can literally stop and directly negotiate with any cab drivers directly or contact your hotel reception guy. The problem is, that these 5-points would not possibly be in any one standard package. One can either take a completely customized package with these 5 points or take one with most of them in the list and add the others through negotiating directly with the driver. It would be best to start with Rumtek in the morning, and end with the cable car which is quite near the Institute of Tibetology. The biggest monastery of Sikkim and undoubtedly the most important one too. Originally built in mid-eighteenth century by the 12th Karmapa Lama of the Karma Kagyu school of Tibetan Buddhism, to which the monastery still belongs to, it was almost completely remodelled and resurrected from ruins in 1966 by the 16th Karmapa, Rangjang Rigpe Dorje, after he had to flee Tibet. He chose this place as his official seat in Exile against the advice of many. The site of Rumtek, according to him had auspicious attributes. Geographically lying almost on an opposite ridge of Gangtok, Rumtek is a remarkable place to be at. The drive from Gangtok of about 25 KMs is pleasant. It houses rare and sacred items and relics of the Karna Kagyu sect which were frisked away by the 16th Karmapa,when he fled from the Tsurphu Monaatery with his 160 students. Perched peacefully with its grand chortens and payer wheels, on a hill top, also containing with itself, the internationally acclaimed, Karma Shri Nalanda Institute for Higher Buddhist Studies, the ambience of the place reverberates with the soul of the visitors. It has a certain unworldly peacefulness about the place. 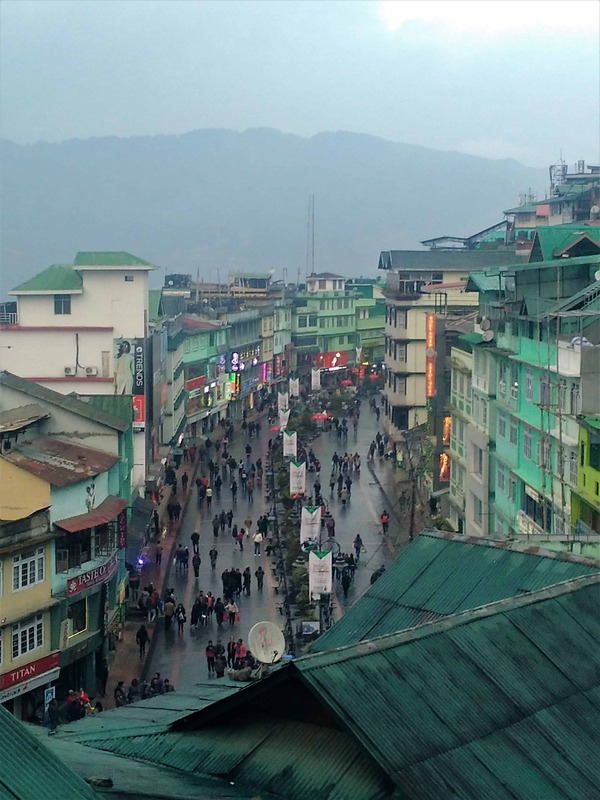 The city of Gangtok as well as the snow-capped mountains of the Nathu La can be visible if the weather is clear. The Monks also referred to as Black Hat Monks in their traditional dresses can be spotted of all ages, going about their business, some are barely 10 years old. There was a controversy in 1990s regarding the selection of the 17th Karmapa, which got dragged to the Supreme Court. Violent clashes have taken place between the monks of two factions supporting two separate candidates, because of which the Monastery is heavily guarded by the Indian Army. Visitors need to show original IDs at the chekpost before being allowed uphill to the main premises. The 16th Karmapa chose Rumtek as his official seat largely due to its location and poise. Surrounded by tall mountains, blessed by three streams and snowy peaks in front, Rumtek is indeed auspicious. 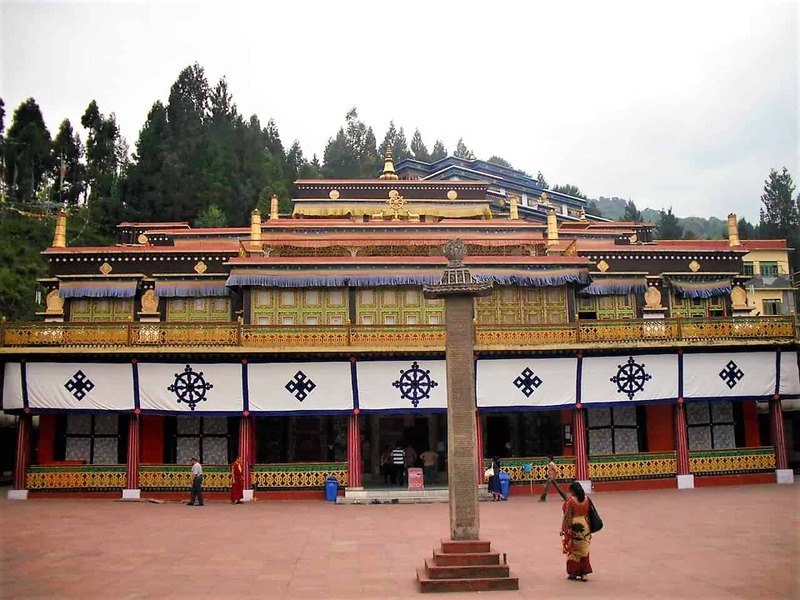 A relatively new monastery 20 KMs north of Gangtok which is not as famous as Rumtek but the location and prominence of architecture will surely impress anyone who would make a visit here. A big multi storey central monastery with other peripheral structures, with classrooms and living quarters for monks encircled all around with forested mountains and seclusion. Not as commonly visited due to its absence from most of the standard sight-seeing packages, Ranka Monastery is most surely one of the best monasteries in East Sikkim in terms of its grandeur, vastness and scenic views. A huge golden effigy of the Buddha sits in the main prayer room. The silence is meditative all around the premises. Senior Lamas sit on the upper balconies and keep watch on the younger ones going about their chores. Prayer wheels abode the walls and passages. The picture-perfectness of the monastery attributes to it has featured in quite a few Bollywood movies. The Banjhakri Falls being nearby can be included within the tour of Ranka. Rappelling can be done at the falls. This is another mostly skipped place in the outer and higher fringes of Gangtok. 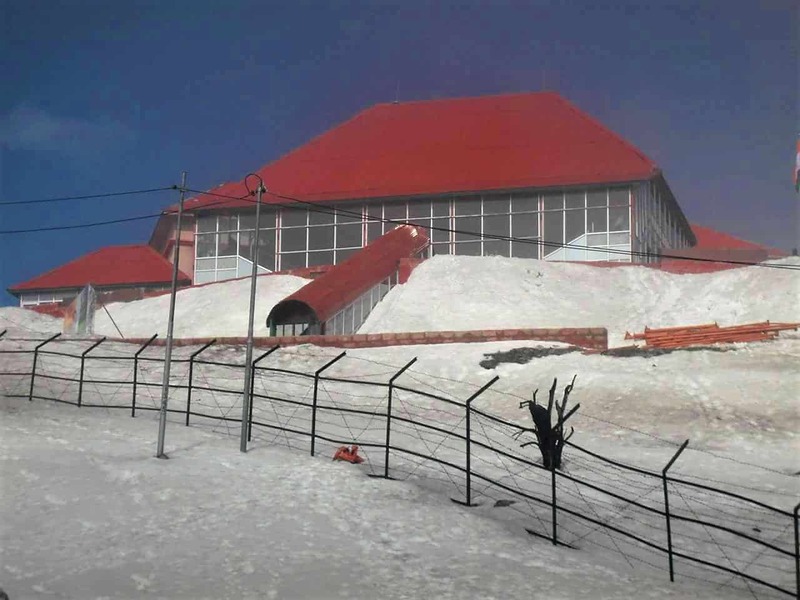 At 7200 ft, a temple complex maintained by the jawans of the mountain division of the Indian Army, Hanuman Tok as the name suggests is primarily a place of worship for Lord Hanuman. Branching off uphill from the Gangtok-Nathu La road, then a slightly knee-wobbling flight of stairs would bring you here. Apart from the religious fervor, the views that this place provides is sure to take your breath away. The viewpoint is pleasantly built like an elevated chic cottage. The best views of the Kanchenjunga range can be witnessed from here with the charming cityscape visible below on the slopes. This strategic position of the place is what makes it on my list. This should be your penultimate point for the day, culminating with a drop to the cable car ticket counter, at a short distance from here at Deorali, which is the lower part of the city. This institute is of supreme importance and is a ‘one of a kind’ place in the world. There is no place else in this world which contain more knowledge about Tibet and Buddhism than here. From ancient relics and scriptures brought here from many monasteries during the great exodus resulting in China’s invasion of Tibet, to possibly the largest library on Buddhism and Tibet, manuscripts dating back thousands of years, original translations of Buddha’s work, this place is a goldmine. It also houses a museum which should be visited with a little time in hand, if someone is interested in knowing about Tibet and its history depicted beautifully. The institute, visited by Dalai Lamas and Prime Ministers, is tastefully constructed in Tibetan Architecture and is one of the remarkable structures of Gangtok. The place is built within a small forest land to preserve the tranquility. Many great researchers have come here and enriched themselves. Absolutely should not be missed. Leave the car once you reach here. And take the ride uphill to Tashiling, henceforth take a walk back to your hotel or a cab if you are too exhausted. Or alternatively, you can have your car wait for you and take the ride up and down. The ticket sold is for both ways. The last ride is at 4:30 PM. Make sure you are a little early to the ticket counter as generally almost always there is a queue. Taking the last ride for the day gives you the majestic aerial view of Gangtok as dusk will be setting in. The lights being switched on gradually over the slopes. The scene is a sight to cherish. There are no seats in the gondolas, it is all standing and gazing through the glass panes. The ride is 1 KM upward to Tashiling, near the secretariat with a midway stop in between and takes about 10 minutes. People can get off anywhere in between or return to Deorali. Apart from a bird’s eye view of the city, one can see the entire Kanchenjunga Range, the snow-capped North Sikkim mountains and even the Teesta meandering far deep below if the conditions are congenial. This experience is better not missed while in Gangtok. A special permit is mandatory for everyone wanting to visit this route. Only Indians are allowed to Nathu La, while foreigners can only come up to Tsongo Lake. The Nathu La permit is the trickier one, as it is open to only a fixed number of visitors every day and that too only four days a week. One day is for maintenance and the other two are reserved for trading purposes only. Permits can also be denied on normal days too, without citing any reason as the area is extremely close to the China border and is hugely sensitive. The road though maintained heroically by the BRO is often not in the best shape being very landslide prone. Moreover, the gain in altitude is excruciating. A stretch of about 15 KMs takes one 10000 feet upward. 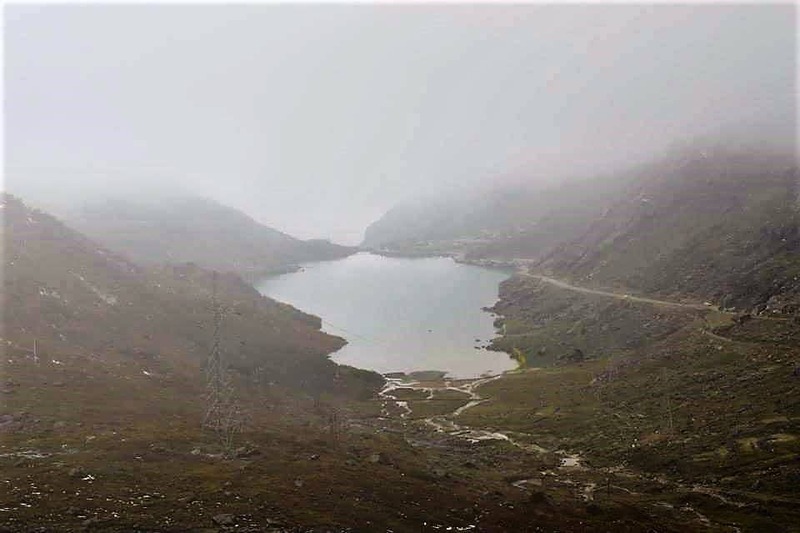 35 KMs, two hours and 8k feet higher above lies an amoeba shaped glacial lake at 12500 feet, which is the gem in the crown of Gangtok. Everyone visiting Gangtok comes here. Its called Tsongo or even Changu. The lake as any other is considered holy by the Buddhists. It lies just beside the road and is pristinely eye-catching. The reflections of the adjoining mountains on the placid waters which change colour with the fickle weather is a glorious spectacle. It is better to visit the place as early as possible for the weather generally turns bad, post the afternoon owing to the altitude. In winters, the lake gets completely frozen and people hire snow-boots to walk on it and play with the abundant snow. There are small tea stalls near the lake where one can have a quick Maggie. A little before one reaches Tsongo, the vehicles are stopped at a place called Sherathang, where down jackets and snow-boots are given on hire, apart from a mini arcade of stores selling everything from jackets, shawls, scarfs, shoes, liquor, snacks etc, run by Tibetan refugees. A 1 KM ropeway was about to be set up here, with a stretch from the shores to a hilltop on the opposite side of the lake, work started a decade back and it is yet to be completed. If and when this materializes, it would be one hell of a ride for sure. Colorfully decorated Yaks are present which take people for a joyride on top of them. Possibly this is the closest a civilian can manage to get to China without actually entering it. Nathu La is that place where you can see the border wires of India and China infront of you and even touch them. You can shake hands with the Chinese troops, literally take a selfie with one of them across the knee-high border wires. Unbelievable, right? Well this place is an exception. Further 45-minute ride up from Tsongo, At 14100 feet, The Nathu La is actually a pass which was used by traders from time immemorial to cross into Tibet. A trading channel still exists from this route though limited to only certain items. The market at Sherathang sells some of the goods coming in from Tibet. Do you know about the highest motorable and roads passes in the world? The most important landmark of the place is the Indian Army post just by the border fence and the Chinese post across it, merely 20 feet apart from each other. The place is windy and snow clad for almost around the year. The Indian army runs a cafeteria quite aptly named, Café 14000 at the spot where tourists can fancy a cup of hot coffee r a bowl of steaming maggi in the freezing temperatures or when you are exhausted playing like a child in the fresh snow. Beware of not exerting yourself too much physically as the altitude can leave you gasping for breath. It is advisable for people with breathing disorders or heart conditions to refrain from coming here. From where the cars stop, a flight of stairs winding on the slope take you to the border fence. Generally, the whole area is under the blanket of snow. Climb the stairs slowly and carefully. The border post is quite grandly constructed as is the Chinese post. It is better to leave the place before noon as after that the weather worsens. Coming down from Nathu La, the path divides into two. The right goes to Tsongo and subsequently to Gangtok. This is in all probability the road one must have arrived from. The road left goes to Kupup, and eventually traces its way with the famed ‘Silk Route’ of Sikkim, via places like Gnathang Valley, Tukla, Zuluk, Padamchen and meeting the plains at Rongli. This is a rarely visited route with its own charm on which my next article is going to be. For now, one must take this road for a short distance to Baba Mandir. 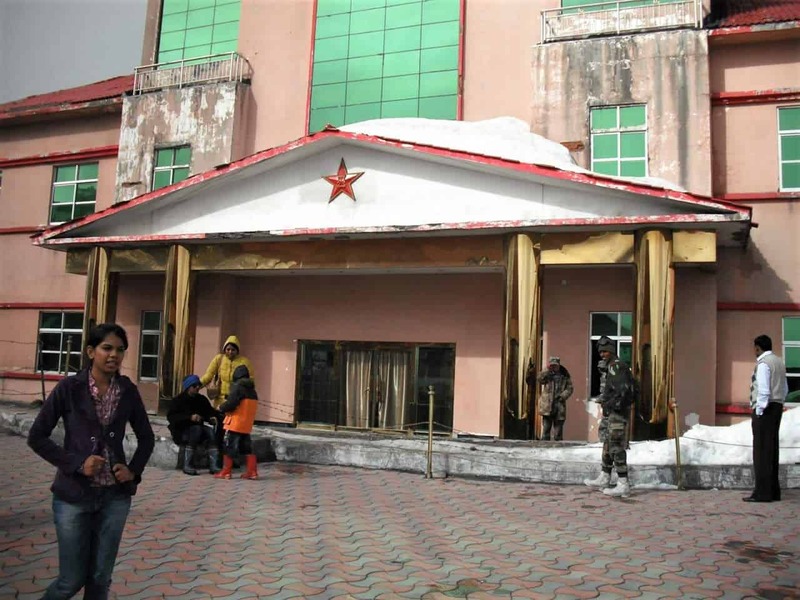 The mandir is operated and maintained by the Indian Army, in the honor of a fellow army man, Baba Harbhajan Singh. Harbhajan Singh was a sentry posted here with the Punjab Regiment in the sixties. There are a lot of fables and folklore associated with this man but certainly for a fact, he is revered unflinchingly till this day by every armyman or regiment posted here. Harbhajan Singh disappeared mysteriously while leading a mule company on the mountains for supplies to the bunkers. After a month or so when after repeated attempts his body could not be salvaged, he is said to have appeared in the dream of one of his fellow men, describing the location where his corpse was to be found and it was supposedly found right there. 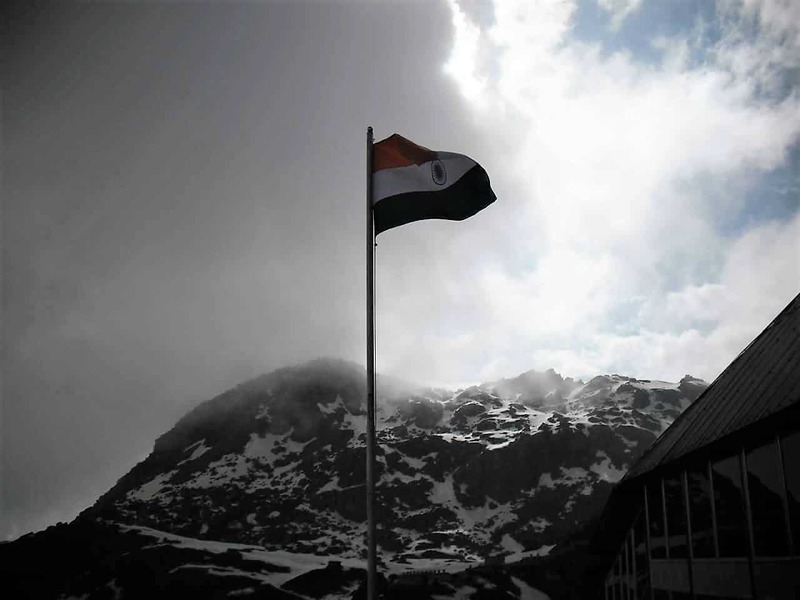 Accounts of other army jawans who have spotted a turbaned shadow like structure hurrying up and down the relentless slopes, one who they believe to be their Baba exists even to this day. For them Baba protects the borders and for which reason no major skirmish has ever taken place at this part of the border ever after Baba’s demise. He is hugely respected and this mandir has been constructed newly by the army in honour of the man who still dwells the mountains protecting the soldiers. His actual bunker which is another hour from here is also maintained by jawans in top notch condition. It is said that even the Chinese soldiers pay their respect to Baba by sending over things for the temple. One seat is kept vacant during the border meets between India and China. Even to this day every year, baba’s luggage is packed and boarded on a train, accompanied by two soldiers, for his village in Punjab where it is offloaded and reached to his home. Then it is brought back the same way after Baba’s usual vacation is over. Surreal, isn’t it? People leave mineral water bottles at the mandir, to collect it after few days. They believe drinking it can cure illnesses and fulfil wishes. Sikkim tourism operates various helicopter joyrides for travellers willing to witness the various places from the air. From 15 minutes to 90 minutes the joyrides vary in duration, places, and price. For someone not minding to splurge a little, this can be a great option. All information regarding these rides is available on the website of Sikkim Tourism. Gangtok and all the places discussed here fall in the district of East-Sikkim in the Indian state of Sikkim. Siliguri, West Bengal with the nearest railhead at New Jalpaiguri (NJP), which is connected on the railway map from almost all major cities of the country, and Bagdogra (IXB), with daily flights from Kolkata and Delhi is the nearest airport. Gangtok is 130 KMs and a 4-5 hour drive from Siliguri. Helicopter service is also available between Bagdogra and Gangtok and takes 30 minutes to reach. The only airport in Sikkim at Pakyong is ready and expected to begin operations by December 2018. Which would then cut down the time required to reach Gangtok to 1.5 hrs by road. Gangtok is about 5500 feet in elevation and enjoys a mild temperate climate around the year. The Monsoon months of June to September bring torrential downpour and hence best avoided. Any time after that from October to mid-June is fine to make a visit. 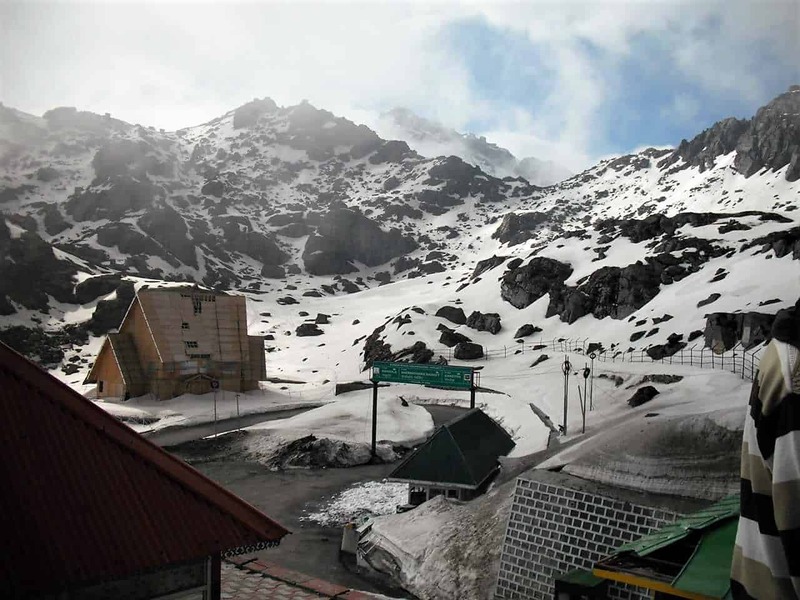 The Tsongo-Nathu La-Baba Mandir stretch will require a Protected Area Permit (PAP). It is easily obtainable for Indian citizens on providing a passport size picture and photocopy of an identification proof. The common practice is to submit your documents to your agent or your hotel reception by the evening of the previous day one intends to visit the region. All the other places require no special permits. For Gangtok, it is better not to even try listing down places to stay or eat. There is an array of hotels of varying kinds all around the city. It is better to book online for the best prices. I would just suggest staying at some place walkable from the M.G.Marg. Tibet Road is a personal favorite as it apart from being close to the marg also lets you have a view of the Kanchenjunga from your balcony. However not all properties will have a view. For people wanting a little more peace and tranquility, Cherry Guest House can be a good option. But generally, the property runs sold out from months before. For places to eat, I have already enlisted some of my personal favorites. There are scores of others as well. Gangtok is a state capital. Hence it has all the facilities, amenities and utilities like any other big city in this country. Barring perhaps an airport only so to say. If you have not been here, or you think all the great hill towns are in Himachal and J&K, or if you are like so many people who think north-east is nothing special, I guarantee you, once you visit Gangtok, you will stand corrected. A city so picture-perfect. So touristy yet so much in order. So populous yet so green and clean. So mainstream yet so offbeat Sikkim, Gangtok will always be a city in the mountains like no other. 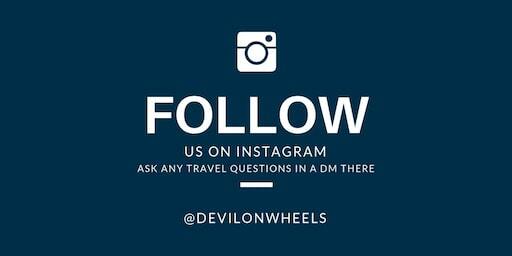 Feel free to comment your queries or for any help regarding planning a trip. If you have not been here, or you think all the great hill towns are in Himachal and J&K, or if you are like so many people who think north-east is nothing special, I guarantee you, once you visit Gangtok, you will stand “”corrected””. I guess this needs some correction.